Today, I'd like to introduce you to a new feature we're adding to the blog, Back Stitches. All of us here at &Stitches have an interest in the historical elements of the media that we use, and we will each be exploring many of these techniques in the coming months. Something I've been experimenting a lot with lately is natural dyeing, which is the way people used to color their embroidery floss and fabric. It's a fun way to combine fiber arts with chemistry. 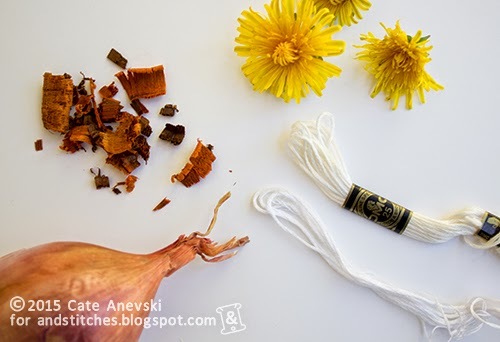 When using natural dyes, you have the option to purchase readymade dyestuffs or to forage in the wild or grow your own supplies, which is a very different experience than buying colorful thread or fabric in the craft store. It's a process that definitely takes more work and planning than using commercially dyed items, but the results can be quite stunning. The colors have some wonderful subtleties that work beautifully together. I haven't had the chance to do much natural dyeing in recent months, mostly because many of the processes involve simmering very smelly ingredients for hours, and, well, there's only so much I'll put up with for the sake of art. However, I've been doing lots of research as I plan for summertime outdoor dye projects, and I wanted to share some of my favorite tutorials with you. 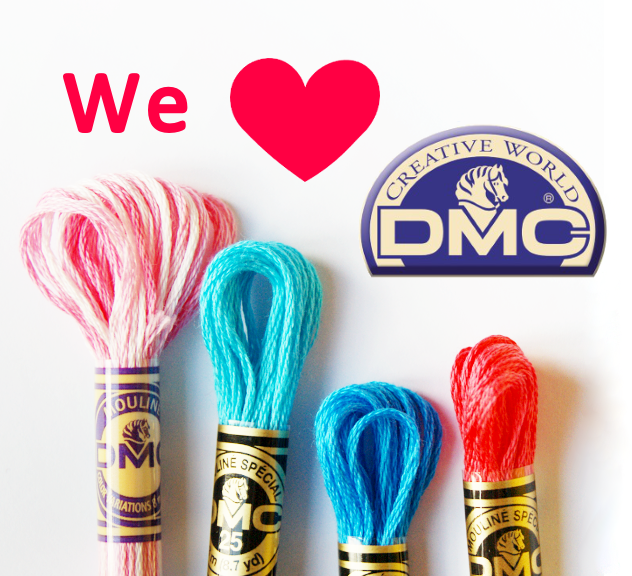 Have you ever dyed your own fabric or embroidery floss? Please share in the &Stitches Flickr group. We'd love to see it! I did a little dyeing a while ago. Also some ecoprinting, which involves making impressions on the leaves on your fabric. Loved it, but like you said it's rather timeconsuming and the smells are not always the best. I posted some of my (old) pictures in the Flickr group.